Celebrations have kicked off for Bollywood actor Priyanka Chopra and American singer Nick Jonas' engagement. In a Roka ceremony, the two officially committed to a relationship. A photograph of the couple, dressed in traditional wear and sharing a love-filled moment with "NP" decoration behind them and one where they are performing a puja are among those that have made it to fan clubs. Along with Priyanka, Nick turned heads as the American singer was spotted in an off-white kurta pyjama. The roka ceremony of Priyanka Chopra-Nick Jonas is a private affair with only a few close family members and friends present at the do. On Thursday night, Nick Jonas flew down to India with his parents - mother Denise and father Kevin Jonas Sr.
Priyanka Chopra walked out of Salman Khan's magnum opus Bharat, and rumours were rife that it was not for her new Hollywood projects but her engagement to Nick Jonas. Priyanka Chopra's sister-actress Parineeti Chopra has already flown to Mumbai from Lucknow, where she was shooting for Jabariya Jodi, for her "Mimi Didi's" big day. Priyanka had personally gone to receive them at the airport. Priyanka and Nick have been travelling across the world to be with each other. Priyanka Chopra and Nick Jonas stepped out for a dinner in Mumbai's five-star hotel on Friday night. 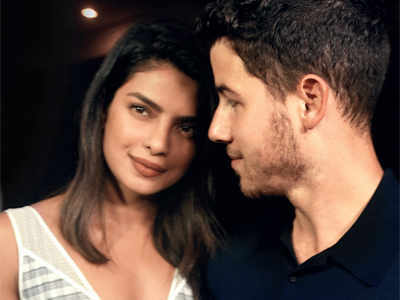 "Meanwhile, Nick and his folks are expected to fly back to the U.S. on Sunday morning and Priyanka will resume shooting for Shonali's film on Monday", says a source. After exchanging promise bands and diamond ring, the couple is going to make it official the Indian way.